Elkhart Mechanics can do it all, from tires to exhaust to basic tune ups. They can cover all your maintenance needs in a timely and you are getting the best work for your money. Have a bad tire? Elkhart Mechanics can dismount your old tire, then mount and balance a new one. Are your brakes fading a bit? Just not stopping like they use to? Then get into Elkhart Mechanics and they will check your pad for wear and check your rotors to make sure their straight. Is smoke coming from under your hood? Then bring it in and let Elkhart Mechanics make sure your cooling system is up to par. They’ll check the hoses for leaks check the radiator itself for holes or wear form old age. It might even be your heater core, so they’ll check that too. Is your car stumbling and not starting right? Bring it in and they’ll check your fuel system from the gas tank all the way up to the fuel injectors. They’ll make sure everything is clean and clear and get it back in tip top shape. Is your car wandering? It could be your tires, or something in your suspension. They’ll check all the ball-joints, tie-rods and struts. Elkhart Mechanics will steer you straight in no time. Elkhart Mechanics maintenance program can fix it all. And you won’t be over charged. You have to approve every fix before they do anything, so no adding ‘fixes’ that weren’t necessary. You’ll always get the best possible service at Elkhart Mechanics. They are locally owned so they respect that you work hard for your money and you don’t cash to just throw away. Elkhart Mechanics will always give you the best service and in a timely manner so you can get back to living your life. We understand that our customers take pride in keeping their cars in good working order for a long time. We also understand that almost no one wants to wait around a long time every few months while a car is having routine maintenance done. 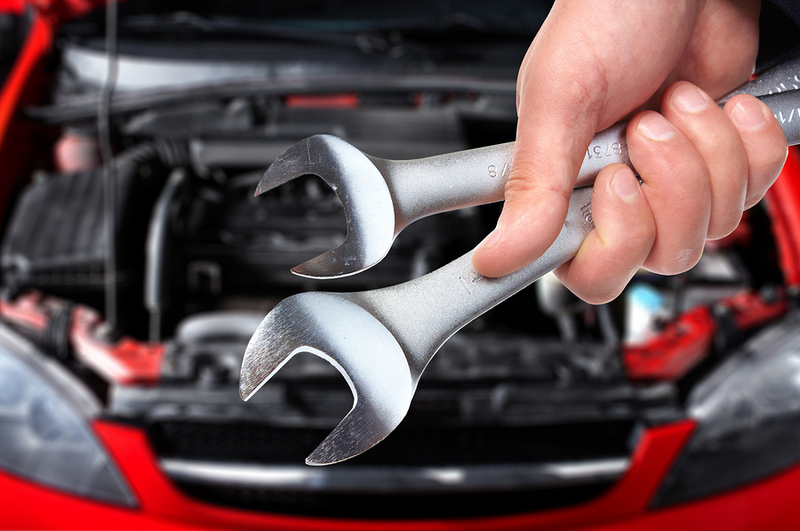 We at Elkhart Mechanics offer fast and efficient service when performing maintenance on your vehicle. We will provide fast, competent, and convenient service at an affordable price. Even more time consuming than taking your car to a mechanic for maintenance or inspection is taking your car to more than one mechanic. At Elkhart Mechanics, we do it all. We offer full service maintenance and repairs. Some of the services we offer include belts, brakes, cabin air filter, engine air filter, engine diagnostics, fluid, fuel filter, headlights and bulbs, hoses, oil changes, scheduled maintenance, tire installation, tire rotation, transmission service, tune up, vehicle inspection, warranty maintenance, wheel alignment, wheel balancing, and windshield wipers. If your vehicle needs a service other than the ones listed on our website, just ask. You can fill out a contact form on the “Contact Us” page of our website or visit us at our Elkhart shop at any time of the day or night.